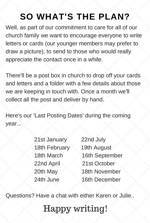 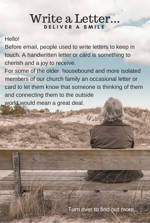 Can you help deliver a smile by writing a letter to one of our older, housebound or more isolated church members? 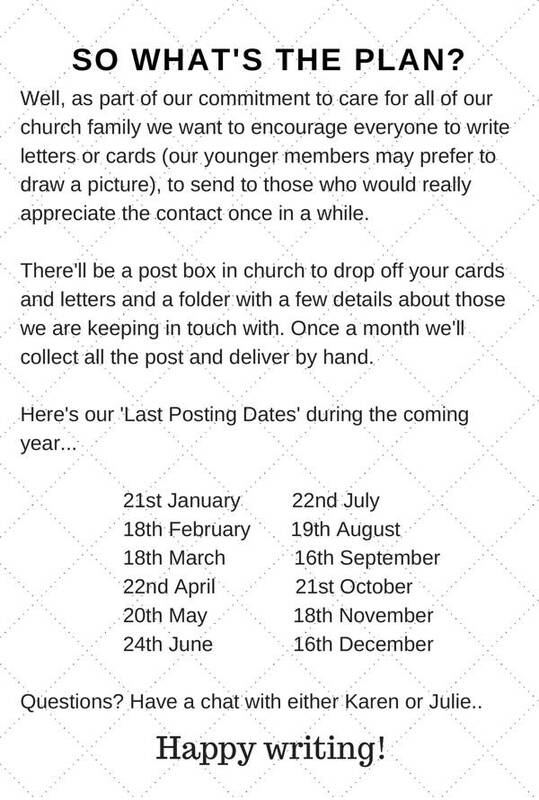 If so then all the information you need can be found by clicking on the images below. 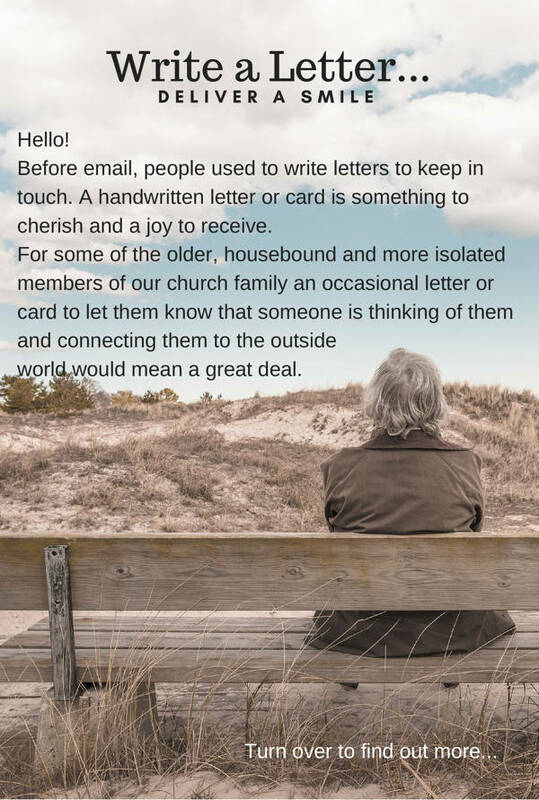 Recipient information can be found in church.